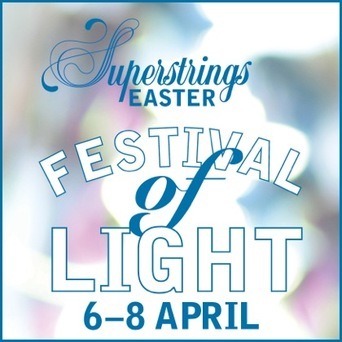 Easter Course 2016 - Festival of Light! Join Superstrings for a fun and creative 3 days playing great music, singing and creating beautiful artwork at our Festival of Light. Course 2 will perform 'Morning' from Grieg's famous Peer Gynt Suite, 'Dawn' for strings and solo piano from the film Pride and Prejudice and 'Beautiful Day' by U2. Course 1 will be performing the Henry Mancini classic 'Moon River', and a fun medley of surprise pieces arranged especially for Superstrings. All participants will have the chance to make their own lanterns for a display at the end of the course. Have fun with new friends and enjoy making music in the relaxed surroundings of Dauntsey's Manor. See you all there!